MOVEMENT for Multiparty Democracy (MMD) national secretary Raphael Nakachinda says the infiltration of the cartel in the Law Association of Zambia (LAZ) is worrying. And Mr Nakacinda has challenged LAZ president Linda Kasonde to redeem the institution by ensuring that the executive was conducting itself in a professional manner both in public and private life. Mr Nakachinda was reacting to revelations that LAZ was biased because Ms Kasonde once worked for MNB (now Nchito and Nchito), a law firm owned by brothers Nchima and Mutembo Nchito. The vice president of LAZ, Eddie Mwitwa is a partner to former Attorney General Musa Mwenye, and was one of Mr Hakainde Hichilema’s lawyers in the presidential petition against President Edgar Lungu. Meanwhile, Sashi Nchito Kateka, the LAZ honorary secretary, was young sister to the Nchito brothers. But Mr Nakachinda said the MMD was worried that LAZ had been infiltrated with individuals advancing individual, family and partisan agenda. “We only hope that such revelations were not true that LAZ has been infiltrated by the cartel members,” he said. 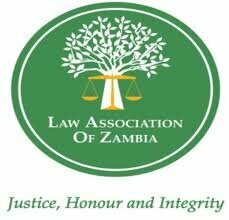 Mr Nakachinda said the recent pronouncement and contradictions in issuance of statement by LAZ was equally worrying to a lot of people who believed and trusted in the institution. He said it was the same reason why an attempt to join the Constitutional Court during the presidential petition hearing was not granted because of the alleged infiltration of the cartel. Mr Nakachinda said MMD was interested and would go further to find out the motive behind the infiltration of the cartel in LAZ.